Cherno Alpha's Iron Eagle that was done in safety pins on the back of Sasha's jacket. 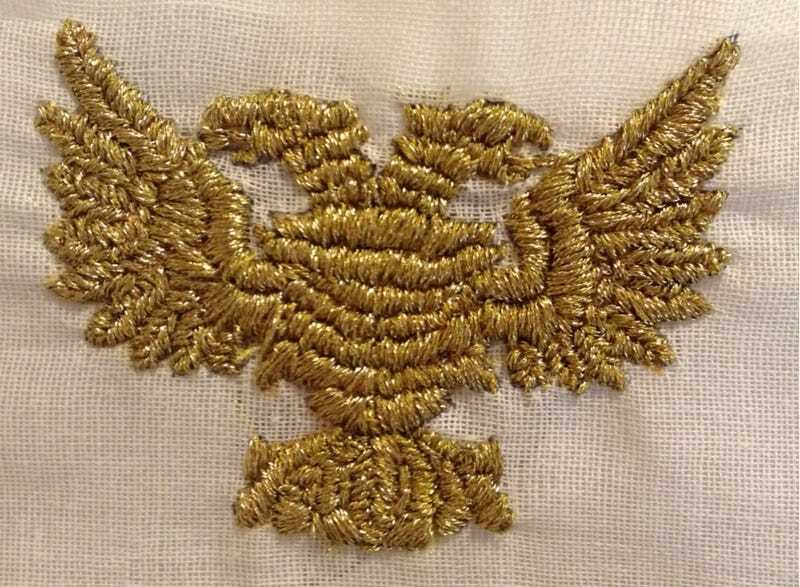 I used gold embroidery floss and it was truly the most devious stuff. It was Satan's Satin Stitch. So this is going on my bag next to the PDCC logo.